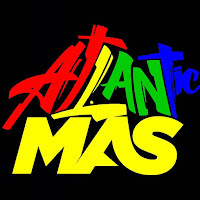 Toronto is getting a new radio station geared to the black and Caribbean communities. The Canadian Radio-television and Telecommunications Commission gave approval Thursday to the decade-long licence quest of Fitzroy Gordon’s Intercity Broadcasting Network (previously known as CARN). “The commission is convinced that the proposed service will add cultural and racial diversity and will benefit the Caribbean and African communities of Toronto with its spoken word programming and musical format,” read the decision. 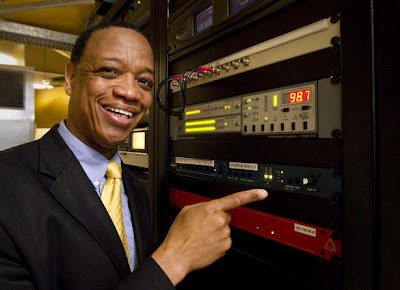 Jamaican native Gordon, a former medical technologist who covered sports for FAN 590 and the Toronto Sun, and helmed the nightly Dr. Love show on CHIN-FM 100.7 FM for seven years, said he never lost hope during the arduous process, which included opposition from national media giants. The New Flow 93.5 FM, which debuted in 2001 as Toronto’s first commercial black radio station, was sold to CTV for $27 million earlier this year. But the station’s hits-oriented devolution had long disenchanted the supporters of the politically charged campaign which garnered its licence. Unlike with Flow, the CRTC has imposed conditions of licence on 98.7 to ensure its cultural mandate, such as a minimum 50 per cent world beat and international music, nearly six hours of news weekly and 10 per cent spoken-word programming. But Gordon says the community must also do its part to maintain the wide range of music, issue-oriented talk shows, local and international news, and sports coverage he has pledged. Calling it “premature,” the CRTC denied CBC’s request to restrict Gordon’s ability to sell the station. Citing concerns about interference, CBC first objected to the broadcast licence Gordon was awarded in 2006 (on his second try) because it was four notches away from CBC’s 99.1. CBC did not withdraw its complaint when Industry Canada testing found no impact on its signal. Rogers, Astral and CTV submitted a joint intervention to the CRTC in April over concerns about a “lack of transparency” in licencing 98.7 FM. “I always believe in the David and Goliath story, and as big as Goliath was with all his army, David had one stone for him and I had one stone for all of those guys,” said Gordon of the interventions of the media behemoths. He doesn’t believe his lobbying of the federal government, including a private one-on-one chat with Prime Minister Stephen Harper, yielded special treatment. “Industry Canada and the CRTC saw my determination and they realized that there is a need,” he said.